Nick Jonas and fiancée Priyanka Chopra recently met with Prince Harry and Meghan Markle at their country home, Us Weekly reports exclusively. The same week Jonas asked Chopra to be his wife, the two had some private time with the Duke and Duchess of Sussex at their Oxfordshire, England, home. 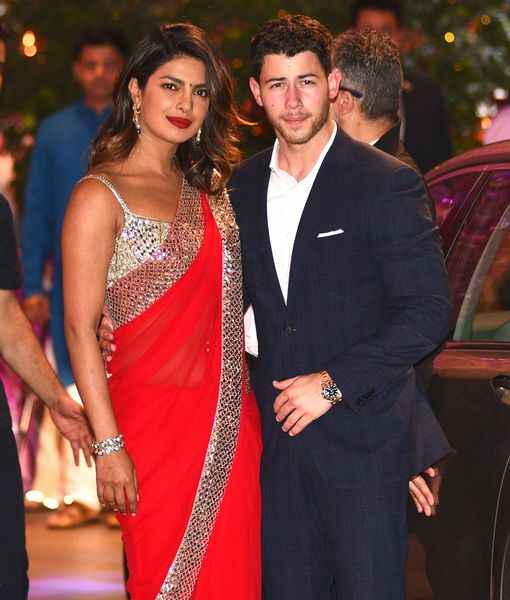 Nick apparently received a royal seal of approval, since it was reported this week that he and Chopra are engaged after a whirlwind courtship. Chopra, who is great friends with Markle, attended the royal wedding on May 19, around the time she and Jonas started dating. Chopra with Abigail Spencer at the royal wedding — maybe it gave her wedding fever? The week they were in London, Nick was seen shopping at Tiffany & Co., where he reportedly bought an engagement ring for Priyanka, who was said to have been "thrilled" that he popped the question, even though the timing was completely unexpected. An insider told Us that Nick and Priyanka could be walking down the aisle as quickly as they made the decision to get hitched, saying they "want to get married very soon." Priyanka Chopra Confirms She’s Invited to the Royal Wedding!